We've got a real treat for any coffee lovers at this year's event. 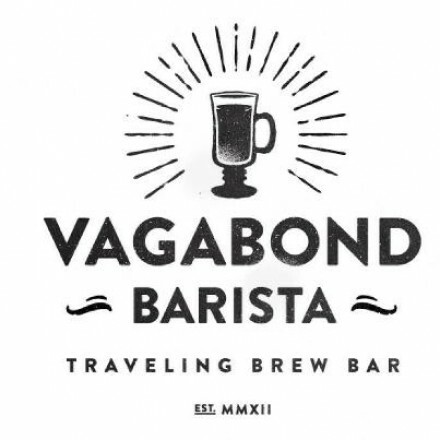 Will Shurtz founder of the Vagabond Barista is setting up his mobile coffee bar as one of our sponsors and food vendors. He'll be donating his services for the VIP Gala event (in case you need yet another reason to attend), and he'll also be among our food vendors on Saturday and Sunday of the event. 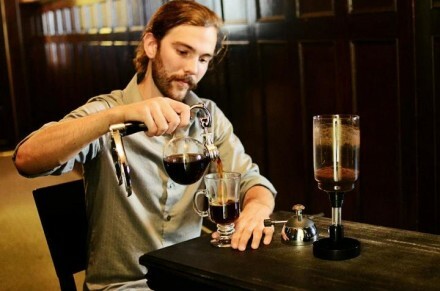 After working as a local barista for the past 3 years, Will realized a gap in Greenville's coffee/breakfast culture, namely that precious few places brewed coffee using methods such as siphon and chemex brews, and you certainly wouldn't be able to find anything this specialized at local events. Besides making one seriously good cup of joe, Will is a coffee guru. He has a deep knowledge about the beans he's serving, and he only sources coffees that are top quality from planting to roasting. Will currently brews for various events about town. You can contact him via Facebook or Twitter if you're interested in having at your next event. Otherwise, you can visit him at Cowork Greenville where he's brewing on a weekly basis. The processes through which he makes cups of coffee are both beautiful and delicious. 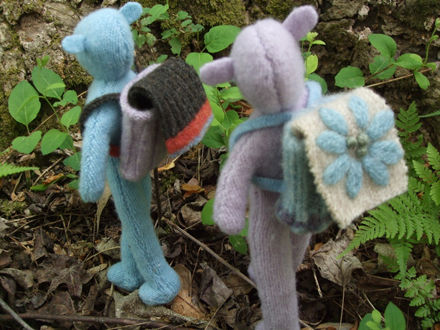 We're so excited to introduce yet another handcrafted element of Indie Craft Parade. Behind the scenes of indie craft parade: why greenville? Why Greenville? It certainly doesn't have the population of a large city, and South Carolina as a whole doesn't necessarily have the reputation as a trend setting state. Nonetheless, our little city has caught the attention of many outsiders. Within the past year, Greenville has been listed among Forbes' "best downtowns" and CNN's "fastest growing cities." Greenville has even impressed the New York Times,which has taken note of our developments. On top of that, Greenville for many years has boasted a thriving fine art community. We've lived and worked in Greenville for a number of years, fell in love with the city and all it has to offer, and decided that it would be the perfect location for an Indie art fair--just like all those big creative cities. We frequently get asked if Indie Craft Parade is part of a franchise or a larger national craft fair. We're so happy to reply--no! Indie Craft Parade is an independent event, created specifically for the city we love. Most of our sponsors and nearly all of our volunteers come from right here in the Upstate. And while we invite people from our surrounding states to visit our event, even our attendees hail mostly from here. We're so thankful to be going into our third year as Indie Craft Parade--so thankful to the people in our town for supporting us! And we think it's pretty awesome that Indie Craft Parade is making a contribution to the national crafting movement. The closer we get to the main event, the more we want to tell you about the people who make the festival possible. Today, I want to share all the goodness of MailChimp with you. If you're a business owner, event coordinator, or leader of any group that takes a lot of communication, MailChimp could be an indispensable tool for you. MailChimp describes themselves as a way to help you: design email newletters, share them on social networks, integrate with services you already use, and track your results. In short, they call themselves "your own personal publishing platform." Besides keeping you and your followers organized, MailChimp provides beautiful design templates, loads of free advice and tutorials, and even ways to manage all of your features on the go. Best of all, you can get most of the MailChimp services for FREE! Their no-nonsence approach to mass communication combined with their fun personality and great design make MailChimp a great tool for anybody. We at Indie Craft Parade have used MailChimp to organize our newsletters and campaigns for the past few years, and we're so happy to say they've joined forces with us this year. The generous donations of this creative company truly makes it possible for us to continue putting on the high caliber event we give Greenville each year. We're so thankful that MailChimp supports the creative community! We've officially entered festival season! 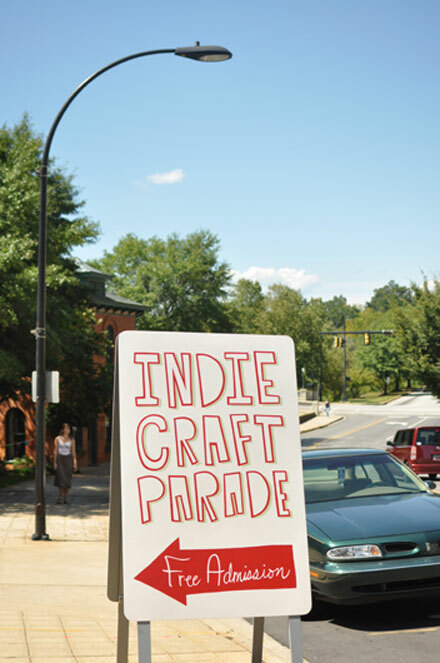 Only 9 short weeks and Indie Craft Parade will be here--9 weeks, can you believe it? We've got so much to share with you between now and then: featured vendors, new things to expect this year, details about the VIP Gala...the list goes on and on. But today, we're excited to share with you one of our fabulous sponsors--Lark Crafts--a resource you need to have in your crafty arsenal. 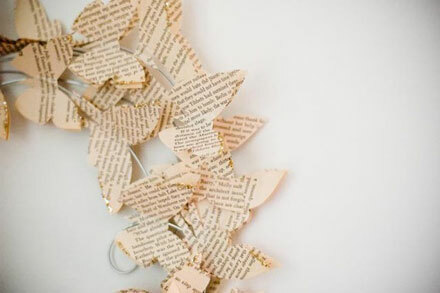 From their website: Lark Crafts is a creative publishing group based in the beautiful and artistic mountain town of Asheville, NC. We love showcasing the best the craft world has to offer through how-to projects, comprehensive technique guides, spectacular visual galleries, and everything in between. Lark has been in the business of providing crafters with information and inspiration for 25 years, so we’re steeped in tradition. We’re also enthusiastically engaged in where crafting is going. We’ve been an integral part of how the craft community has grown, changed, and evolved over the last couple of decades—and how it has recently exploded in size and expanded in all kinds of exciting new directions. For the 2012 Indie Craft Parade, Lark Crafts is generously sharing from their stores of crafty knowledge by donating over 100 books to the event. That means over the course of the festival we're able to give away all of those books to our attendees, pushing crafty inspiration even further into our community. Just take a look at some of the titles that we have access to! So, if you didn't already have a million reasons to attend Indie Craft Parade this September, come to win one of these amazing books! Just a note: your chances of winning a book are greater when attending the VIP Gala, so stay tuned to know when tickets become available. Our jury will be meeting this weekend to review all the applications we received. Here's an inside look on the jurying process. The 2012 jury is Marco Suarez, Barb Blair, Teresa Roche, Doug Young, and Mollie Greene. These talented individuals are 5 professional artists with expertise in many genres, and we're very happy to hand over this difficult task to them. They jury each category separately and judge individual applications on how well they match the vision of Indie Craft Parade, as well as their originality, quality, uniqueness, and innovation. All applications are reviewed anonymously to avoid any bias. Each jury member views an applicant's description of their work, along with the 4 photos they submitted. They briefly discuss the merits of the application, and then vote on whether or not it should be accepted. The jurying is a tedious process, but this thoroughness is essential for selecting just the right mix of exhibitors. Work featured above is from Marco Suarez's 2011 application. Jury members are not allowed to exhibit at Indie Craft Parade if they are currently on the the jury. We can't wait to see all the wonderful submissions! All applicants will be notified on Monday, July 2 with their status. Today, I'm happy to introduce the third member of our jury, Doug Young. He has been an artist for nearly thirty years, with sculpture as his primary medium. His work is quite recognizable in Greenville. He's best known for sculpting Shoeless Joe Jackson, located in Greenville, South Carolina. As a member of the Metropolitan Arts Council, Doug plays quite the leadership role in the Greenville art scene. He is also on the advisory board for Upstate Visual Arts, as well as the Pendleton Street Arts District Business Association and Indie Craft Parade. His work is on display in his studio as well as in private collections around South Carolina. Indie Craft Parade: Have you always been a sculptor, or did you start in another medium? Indie Craft Parade: You've been active in the Greenville art scene for a number of years. What kind of changes have you witnessed over the years? Is there a direction that you would like art in our city to take? Doug: I've seen Greenville develop an appreciation for the arts that makes artists, from other places, very envious. Maybe, in the future, we could start an "art community center" (sort of like the YMCA) where artist could go and work-out. Indie Craft Parade: Your sculptures have become quite iconic in the Greenville area--particularly Shoeless Joe Jackson. Are you currently working anything that you're particularly excited about? Doug: I've been working on a sculpture commemorating the start of the first settlement school. It represents a teacher giving a book to a student and will be installed in Gatlinburg, Tennessee. Having been a teacher, I'm really excited to be part of this project. I'm very excited to be introducing Barb Blair--another member of our esteemed jury. Barb has made quite the name for herself with her one-of-a-kind furniture pieces. As the artist behind Knack Studio, Barb manages to turn passed over chairs, headboards, and chest of drawers into unique works of beauty. And her talent has been noticed by movers and shakers in the industry. She has been a guest contributor to notable publications such as Design*Sponge, and she's even becoming a published author herself. To get a personal look at Barb's fabulous work, you can check out her studio on Pendleton Street in Greenville or at the lovely Antiques on Augusta shop, also in Greenville. Indie Craft Parade: Your business has expanded quite a bit in the last year, and your upcoming book is incredibly exciting. What can readers expect to find in the new book? Barb:The book will be chock full of furniture tutorials, makeovers, and beautiful photographs that will get you motivated and inspired to create. Indie Craft Parade: I know you find your diamond in the rough furniture from all sorts of places. There's potential everywhere from estate sales to junk heaps. In the past year, what has been your most interesting (or favorite) find? Anything with an unusual story? 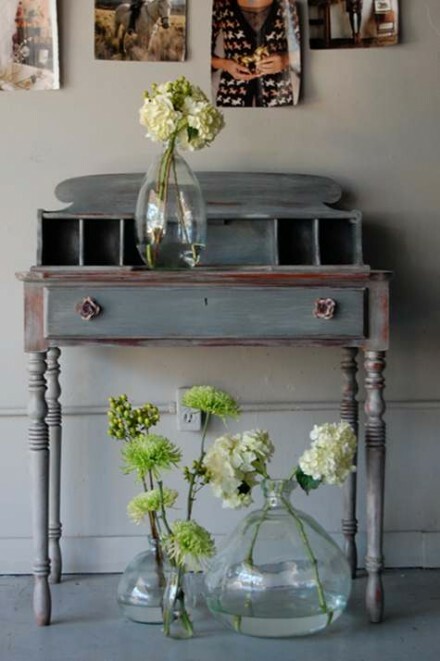 Barb:I think one of my favorite finds this year was a sweet little nightstand that I purchased at an estate sale. When I started to clean it out and prep it for painting , I discovered that the drawer was full of hand written poetry. I ended up permanently lining the drawer of the piece with some of the poems and named the piece after the author....whose name was "miss Jenkins". 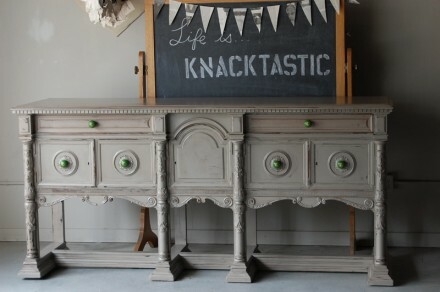 Indie Craft Parade: You've been working in furniture restoration for a number of years, yet your pieces continue to be fresh and inspiring. How do you manage it? Barb:Thank you so much! Sometimes it is hard to "feel" creative and invent new designs on a regular basis, but I always try to keep things fresh by traveling, taking photographs, pinterest, magazines, and nature. I find that just day to day living inspires me to create, and that inspiration is around me at all times whether it is a fallen leaf, an outfit that my daughter puts together, a pretty plate of food, or a piece of art. Being creative to me is about being able to create even when you don't "feel" like it. We have just over 2 weeks until Indie Craft Parade applications open. We're so incredibly excited to see the new talent that comes our way. We're also excited about our fabulous jury that helps us bring to our event the very best of the applicants. And we love introducing them to you. All of our jurors have made an impact on the Greenville art scene and continue to shape and develop it. Our first juror is also an Indie Craft Parade board member. Teresa Roche, the manager of Art and Light gallery, is often at the center for Greenville’s artist community. Besides the numerous tasks that come with running a chic art boutique that boasts some of the best finds in town, Teresa manages to produce her own work. She’s best known for her whimsical mixed media pieces. Next chance you get, visit her gallery in the Pendleton Arts District. You won’t be disappointed. Indie Craft Parade: What kind of projects currently occupy your time? Teresa:I am so excited to say that at the end of the summer I am moving my gallery to a new location - open 6 days a week (#2 Aberdeen Drive off Augusta Rd). In the new gallery I will be curating seasonal openings with four collections a year to include my own mixed media art, as well as some exciting new and "old" furniture and lighting. I will continue to feature many of the same resident artists that I currently feature, but will have a more finely curated collection. A new website/blog is in the works as well! Indie Craft Parade: Art and Light is famous for hosting trunk shows or events-- such as the mini book collective--that are lot of fun and totally unique. Are you planning any new or different type of events we should expect in the future? Teresa: Absolutely! An art exhibit combined with a book signing (the art inspired the writer) -- and of course these two talented female artists are from Greenville and two very special people in my life - excitement ahead and more details coming soon! And oh, Sarah Mandell, Once Again Sam is working on a felt installation for the new gallery's grand opening - can't wait for everyone to see! Indie Craft Parade:In managing you own gallery, you have many opportunities to rub shoulders with many types of artists. 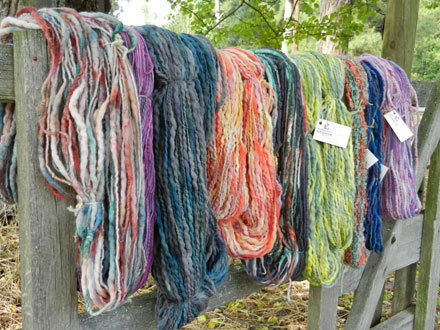 Have you learned any great tips or advice that you'd share with artists or crafters who are just getting started? Teresa: I have learned so much in my career and especially from the artists I have been so fortunate to meet and get to know. I think the advice is simple - First, start with a business and marketing plan - execute that plan but have enough flexibility that you can respond to changes at any given time. It's not enough to be a great artist or crafter, Business basics are extremely important. Second, always be a "Love Cat", a term coined in the book, Love is the Killer App by Tim Sanders. It is the business book that I live by. Embrace your business partners, and remember the value of relationships - sharing your intangibles. Your biz partners are each and every person in your work life. As Tim says, "share your knowledge, your network and your compassion." Third, have a strong work ethic. I can't say enough about how important that is. And last, create a buzz about your work! On this last day of 2011, we're looking back on our festival stats for this year. It's always fun to see these numbers in graphic form. This data comes from applications and from a post-show vendor survey, so keep in mind that any of the vendor information is based only on those who responded to the survey. Click on the countdown graphic below to view all of this year's charts on Daytum — including Exhibitors by State, Entries per Category, and more! Thank you all for your support of Indie Craft Parade this year and of 'our' artists through this holiday season. We'll see you next year! VIP Gala attendees shopping, photos by Metromix's Angela Cox. See their full slideshow here! VIP Gala attendees entering the giveaways, photo by Metromix's Angela Cox. See their full slideshow here! 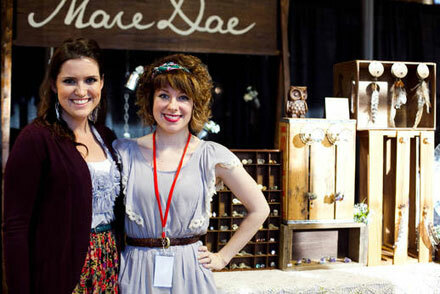 ICP exhibitors MaieDae, photo by Metromix's Angela Cox. See their full slideshow here! Local bluegrass band, The Bent Strings, photo by Peter Crane. Parachute Clothing, photo by Peter Crane. Leslie DeRose, photo by Peter Crane. 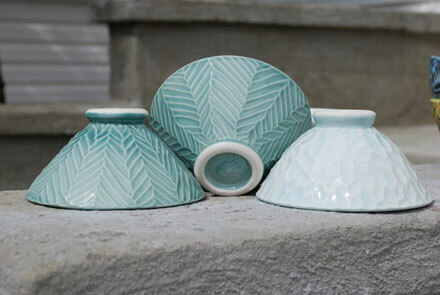 Lily Pottery, photo by Peter Crane. ICP attendees shopping, photo by The Greenville News' Heidi Heilbrunn. See their full slideshow here! Free photobooth in use, photo by The Greenville News' Heidi Heilbrunn. See their full slideshow here! Owlette Collective, photo by The Greenville News' Heidi Heilbrunn. See their full slideshow here! Fox to the Opera, photo by The Greenville News' Heidi Heilbrunn. See their full slideshow here! Caleb Chancy, photo by The Greenville News' Heidi Heilbrunn. See their full slideshow here! Check out the rest of the 2011 Flickr pool and add your photos! We had so much interest in the goods at our Indie Craft Parade booth that we've set up a (very) temporary online store for a few of the most popular products. Since we sold out of the red Indie Craft Parade shirts on day two, we'll be printing more for those who missed them. The two Indie Craft Parade tees pictured above and our Buy Handmade totebag will be available to order online, but just until next Sunday, September 18th! Note: If you pre-ordered your shirt at Indie Craft Parade, you don't need to submit another order. You should have already received an email from us detailing the completion of your order. We've mentioned the fabulous giveaways that will take place on Friday night at the VIP Gala, but here's a sneak peek at some of the items that you could win! Isn't the work just wonderful? And that's just a sampling of the prizes, there will be lots more that our VIP guests will be eligible to win. The exhibitors have donated these items, and we'll be bundling them into groups. Each VIP ticketholder can choose which group they would like to win, and we'll announce the winners that night! Since attendance is so limited that night, the chances are great! You could be walking away with some fabulous prizes worth much more than your ticket price. If you want to get in on this action, make sure you get a ticket to the Gala! If you can't make it Friday night, don't worry... Saturday and Sunday will be a blast too! We are so excited to have the support of Ribault St. Catering! This local independent catering service provides the ultimate culinary experience for corporate and social events. Their restaurant, Two Samuels, is located in Spartanburg, SC and serves upscale offerings of American cuisine. Ribault St. will be providing the food for our VIP Gala, which means this is a night your taste buds won't want to miss! You can purchase your gala tickets right here, or enter to win them in our giveaway. All photos courtesy of Ribault St.
Be sure to check out Ribault St. online or in person at our VIP Gala! 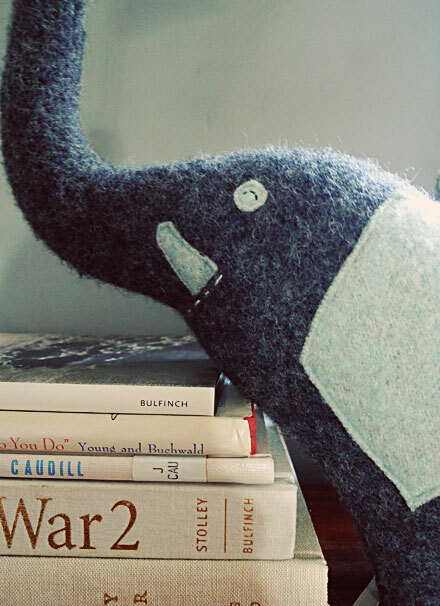 You've probably seen our adorable mascot around, a happy little elephant named Hugo. 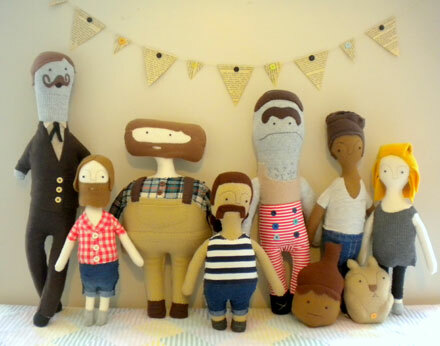 We recently asked one of our fabulous vendors from last year, Three Bad Seeds, to bring him to life... er, plush. Amanda Weiss, felt hoarder and doodler extraordinaire, came up with four amazing versions of Hugo... and I can't keep from smiling when I see them! Don't you just love Hugo! The red and white versions will be on display at the Indie Craft Parade booth, and we'll lend the black and white ones to the photobooth as props. 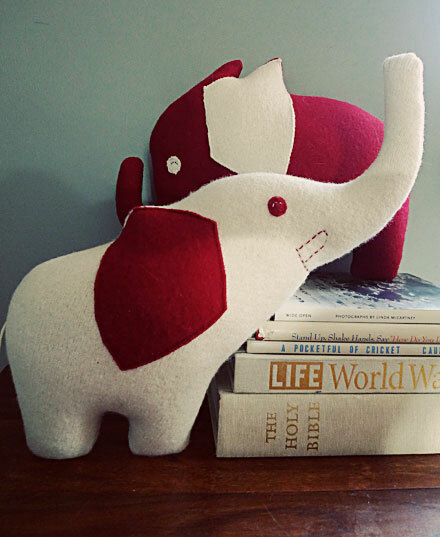 Be sure to check out Three Bad Seeds and Amanda's post about our little elephant friend! We are so excited to have the support of a local independent coffee shop, Coffee & Crema. They, along with coffee experts Ben Szbody and a representative from Counter Culture Coffee in Atlanta, GA are sponsoring our VIP Gala. All VIP Gala ticket-holders will receive complimentary coffee prepared by their masterful hands. While espresso bars are now very well known, much of the real attentive craft coffee movement is now gravitating toward simple brew methods that produce sparkling, delicious "black" coffee. Coffee & Crema will be showcasing three of these brew methods at the VIP Gala, along with 3 very special coffees. 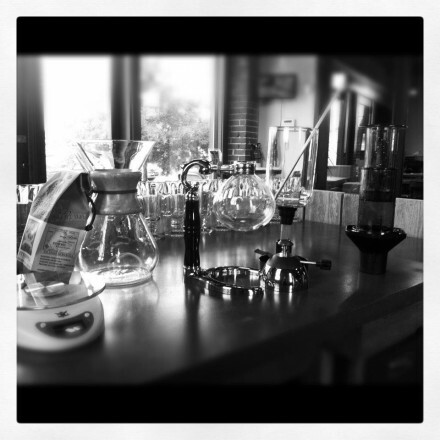 One of the brew methods to be featured is the syphon method (pictured above). This set-up is certainly eye-catching, I'd never seen coffee brewed in such a beautiful way! Not only is it lovely to watch, the syphon produces a cup of coffee that is clean, crisp, rich, and smooth. Check out Coffee & Crema's awesome video below to see the syphon in action. If you'd like to be one of the lucky few to partake in the coffee wonderland at the VIP Gala, get your ticket here! Thanks so much to Coffee & Crema for their support of Indie Craft Parade! 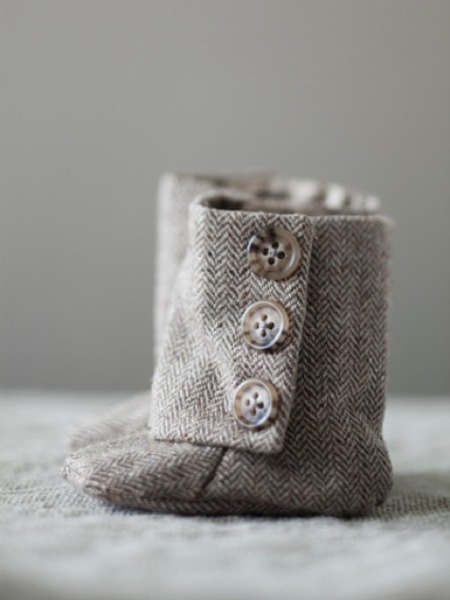 When selling or displaying work online, whether in a venue like etsy.com or even for our jury via the online application, you really only have one way to impress your audience--great product photography. Unfortunately, no matter the quality of your crafts, they won't catch people's attention unless you capture them just right through a lens. So to give you an inside tip on how to impress the jury...and everyone else with your work, I've put together a two part post on how to gain the upper hand through good product photography. Today we'll discuss the elements of lighting and staging, and next time we'll talk about using your camera to the fullest as well as give a few editing tips. First (and perhaps most important), let's go over a few techniques for lighting your work properly. Here are two basic rules to follow: 1) Never use harsh, direct lighting. 2) Never use an unfiltered flash. Look at the examples below. You can see the example necklace shot in three different light settings--harsh direct light, low light with a flash, and set up in a light box. You can easily see which quality of picture is best--and therefore which picture is most likely to sell the product. The harsh, direct lighting creates garish shadows around the necklace that really distract from it and using a flash mutes all of the details in the necklace, creating a generally muddled and discolored photo. For best results with controlled lighting, you should shoot your products in a light box--a translucent cube that evenly disperses light around the object. Light boxes transform narrow beams of light into broad, big light which softens shadows and gives a pleasant, even tone to the photograph. Now I realize that most of us aren't that serious enough photographers to go out and buy a light kit. So through a great tutorial (and using products I already had at home), I made this DIY light box in about 20 minutes and for absolutely free. Once I made the light box, I used two desk lamps to light the necklace shot above. The whole process was quite simple. I spent the most time just fiddling with lamps to find the best lighting angles. I found that jewelry is usually best lit from the top. You might also have to adjust the diffuser panels (in my case, waxed paper) according to what you're shooting. For the ceramic mug I photographed (below) I taped an additional piece of paper directly above the mug, inside the actual light box, to create the lighting I wanted. 1) Shoot in soft, natural light. If the morning light through your window is too strong, wait until the afternoon to shoot. If the sunlight coming through your window is too direct, you can help diffuse it by hanging a sheer panel. 2) Just like when using a light box, you'll have to play with the relation of the sunlight to your product. Changing your position will affect the shadows and color of your photo, so take pictures from multiple angles to see which you like best. 3) If you have an object too big to fit in a light box or on a tabletop, you'll probably need to shoot it outside in closed shade, like on a porch. Second, let's talk about staging or how you position your items to be photographed. Now, you don't have to create an elaborate stage for your items. Many product photographers prefer not to. There are pros and cons to both. For example, look at the pictures below. Which would you prefer to buy? 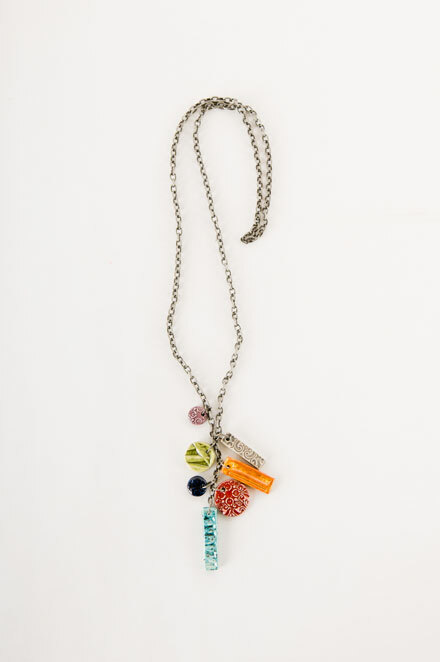 One the table top, the necklace looks like it might be right at home on your dresser. However, in the light box, you can get a better look at the whole product. 1) Choose a simple background--especially if your products are small. 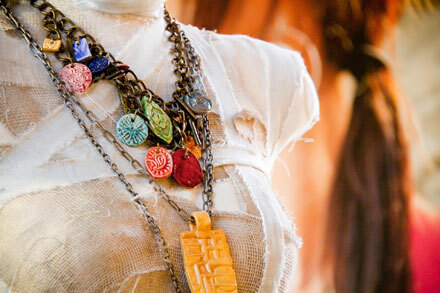 I like how this photographer foiled her jewelry with the brightly colored card stock. I think it really makes the silver pop. 2) If you are going to include other objects in the photo besides your craft, make sure they enhance the overall feel of the photo and never detract from what you're actually trying to show off. For example, I shot the ceramic mug below with items that naturally associate with coffee--whole beans, a napkin, cinnamon, etc. But I made sure that the focus of the picture remained on the mug. 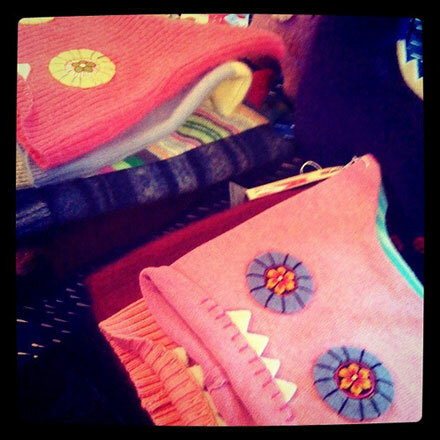 3) Position your products creatively or to show off their best angles. 4) If you want ideas for staging your specific craft, check out this website. It gives a lot of good tips for different craft items. 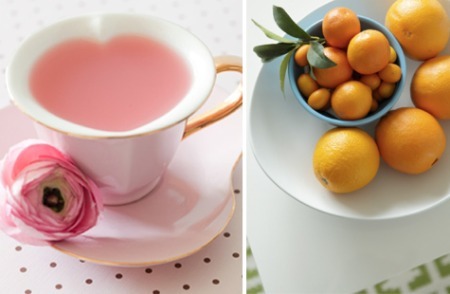 Here are some parting examples of staged products that I really like. For further reading, check out some of the links below in my shout-out section. Happy photographing! My friend and local photographer, Philip Eoute.